When I was just starting my consulting practice over ten years ago, I read a book about partnerships. It suggested to never form a partnership where 1 + 1 = 2. Instead, this book advised to only form partnerships when they’re exponentially advantageous to all parties involved. In other words, strive for partnerships where 1 + 1 = a whole lot more than 2. So What Makes a Good Partnership? In nonprofits, we partner with other people on a regular basis. They may not be “formal” partnerships (like a legally-binding business partnership), but the concepts still apply. Specifically, we’re talking about the concepts of collaboration, cooperation and teamwork. Over the course of any given day, you may collaborate with staff members, board members and other volunteers. You might also work with consultants, as well as individual and institutional donors. So what makes a good collaboration? With each of these qualities, you’re getting more value out of the partnership. The more of these qualities that enter the mix, the greater the value. 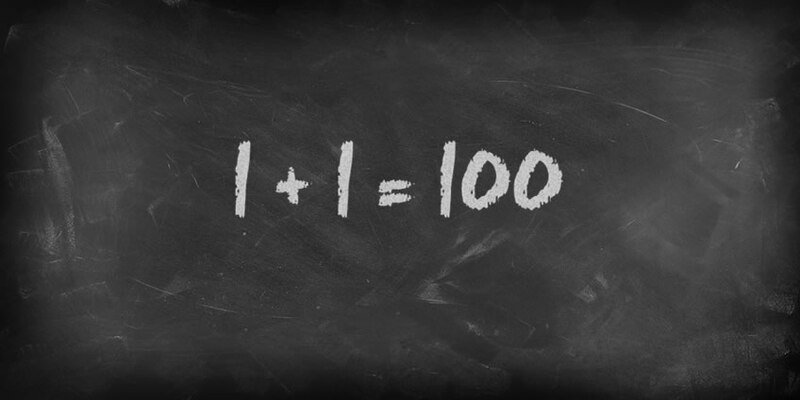 In that way, 1 + 1 CAN = 100. When you hire staff members, it’s sometimes tempting to hire someone who has a similar background and perspective as you do. That’s what feels most comfortable. However, if you want to exponentially expand the skill-set of your team, it’s far better to hire someone with extra skills and a different background. Or someone with an entirely different perspective and set of talents. Ideally, you want someone who will challenge the status quo and push the limits on what your team can accomplish. And you’ll find that when you seek out partnerships with exponential growth potential. When you work with board members or volunteers, it’s important that they bring a range of skills and connections to the table. If you recruit volunteers only from the circles of your existing volunteers, you won’t get the maximum benefit out of the partnership. Likewise, a truly great partnership with a major donor is when someone with significant financial resources (but not the time or know-how to accomplish what your organization strives to achieve), joins forces with your nonprofit. In both cases, you can see the multiplier effect in action. Everyone involved gains something of value. Andrea Kihlstedt and I worked together to create the Capital Campaign Toolkit. We both had revolutionary ideas about how to improve the current model for running a capital campaign. But we have completely different skill-sets and perspectives. Although we’re both fundraising consultants, Andrea’s entire career was focused on capital campaigns. She’s got deep campaign expertise. My experience is more focused on major gifts, board training and online fundraising training. I could not have created the Capital Campaign Toolkit without Andrea, and likewise, she could not have created it without me. Together, we’ve come up with something unique and extraordinary. See? 1 + 1 = 100. Traditionally, when organizations start a capital campaign, the first step is to hire a consultant. That’s the old 1 plus 1 model, and it limits how well your campaign can perform. The consultant has all the power and leads the staff blindly through the process. This creates a very one-sided collaboration. Now, imagine what would happen if you entered the partnership with your campaign consultant holding a detailed roadmap for your entire campaign. After all, you know your mission and your constituents better than anyone. It makes perfect sense for you to have an out-sized role creating the map to your success. The Capital Campaign Toolkit gives you all the tools and templates you need to create your capital campaign road map. That gives your campaign a huge head start before you even sit down with your campaign consultant. 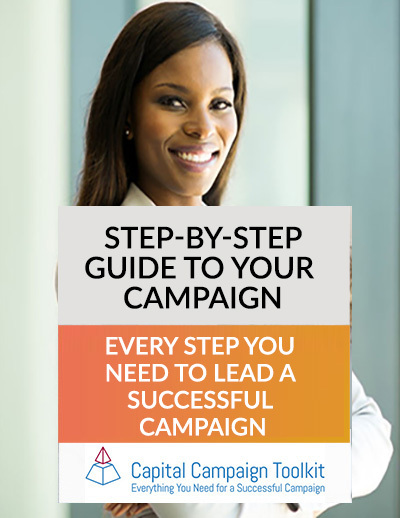 You gain a better understanding of campaigns and a detailed plan of action. Again: 1 + 1 = 100. If you’re ready to discuss how the Capital Campaign Toolkit can give your campaign an exponential boost, send us an email at support@capitalcampaigntoolkit.com. Let’s schedule a time to talk.